Melbourne Mum Renata took her daughter and her friend to the Real Madrid World of Football Experience this morning and loved the experience! 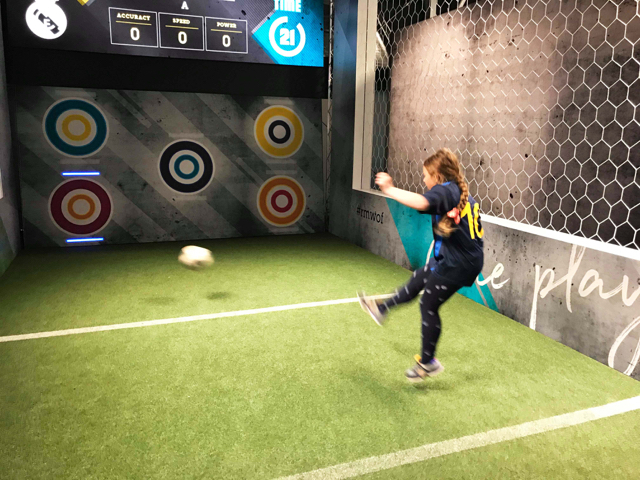 The girls had lots of fun and learned a great deal about football in the exhibition with the great displays, the hands-on experiences, a game of soccer and play on the 16 person Fuzbol table in the Battle Zone. Thank you Renata for the great photos and review. To follow Renata and her daughter’s experiences on Instagram, head to @renatakatarzyna. Kids 5 years and older, parents and families will love this exhibition. This exhibition is not only for football fans but for all ages, even smaller kids can enjoy themselves with older siblings. The Real Madrid World of Football Experience is a new, state-of-the-art, digital and hands-on interactive football experience designed for all ages. Through impressive audio-visual displays, physical interactive football experiences, playable gaming technologies combined with historical club memorabilia and stunning trophies, visitors can go behind the scenes to discover the culture passion, players and epic victories that make Real Madrid C.F. the football Club of the Century. Housed under the roof of a massive 50m x 30m touring pavilion, Real Madrid World of Football Experience offers visitors four immersive zones. The Real Madrid C.F Exhibition Zone offers incredible audio-visual displays, original memorabilia, trophies and interactive technology to help visitors discover the Clubs’ history. 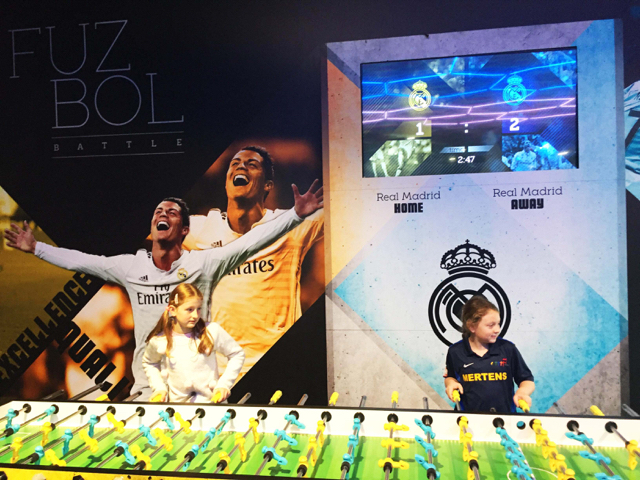 The 360 Cinematic Match Day Experience Zone allows visitors to feel the passion and adrenaline pumping energy from the Santiago Bernabéu Stadium. 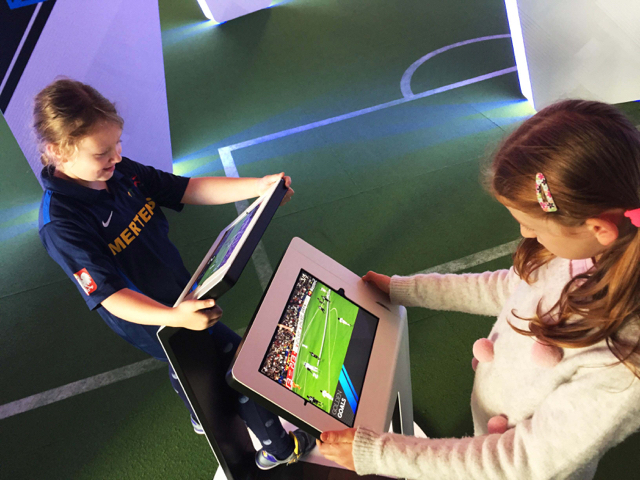 The interactive ‘Come Play’ Zone is loaded with physical, digital and playable technology and test your power, speed and accuracy against the Real Madrid C.F team. Have fun in the EA Sports FIFA Arena and battle it out in the Fuzbol Battle Zone with a gigantic 16-person Fuzbol Table. The Real Madrid World of Football Experience is on now at the Melbourne Museum until 30th September, open daily 10 am to 5pm. Tickets are $19.50 per Kids 4 to 16 yrs, $35 per Adult, $80 per Family (2 adults/2 kids or 1 adult/3 kids) or $99.50 per Hero (1 adult/4 kids). Kids under 4 go Free. You can get to the Melbourne Museum via public transport or car. There is parking along Carlton Street but also parking under the Museum at casual rates, museum member discount rates or by booking online to save 30%. Hourly timed sessions allow you to arrive within the hour purchased. Once inside the experience there is no time limit as to how long you can stay. Visitors are encouraged to enjoy at their own pace. 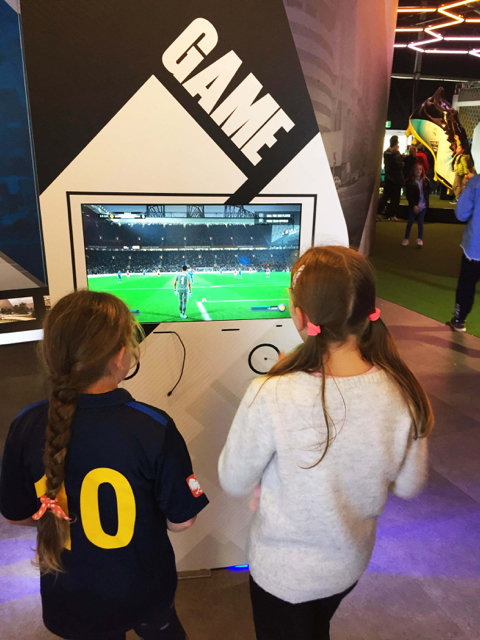 Busy City Kids were invited to Real Madrid World of Football Experience for the purpose of a review. All opinions & feedback are genuine & truthful. Travel and food were self funded. The Real Madrid World of Football Experience is on now at the Melbourne Museum Plaza until 30th September 2018. To find out more about the Real Madrid World of Football Experience, head to the Melbourne Museum's dedicated website.